Output: DC 16V 4.5A. Connecter size: 5.5mm x 2.5mm. 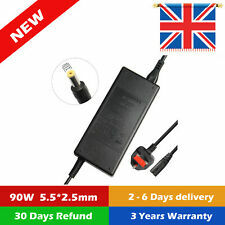 Product Type: Replacement AC Power Adaptor / Charger Colour: Black AC Input: 100~240V / 50-60HZ DC Output: 19V 4.74A Power: 90w Connector Size: 5.5 x 2.5mm AC Adapter Charger Power for Panasonic Toughbook CF-U1 CF-W8 CF-C1 CF-W8E CF-R6. (Output: Max 80w. 5.5mm 2.5mm). Input 11-14Volts from the cigarette lighter socket, For DC 12V Car use only. If any problem. ITEM INTRODUCTION. e.g. you can use 4.74A instead of 3.42A and it will not harm the laptop, as laptop uses only what it requires. In any circumstances our maximum liability will not exceed more then the original price paid. (it supports many more). Compatibility List. (not included). It is a criminal offence to use an item with the intent to impersonate a constable under the Police Act 1996 section 90. The item may have signs of use and wear and is sold as seen with no warranty given or implied as to the condition of the item or serviceability of the item. If any problem. UK & EU CE RoHS FCC Approved. Mains Cable/Plug Type: EU 2-Pin PLUG (included). PANASONIC TOUGHBOOK 1. PANASONIC TOUGHBOOK 18. PANASONIC TOUGHBOOK 19. PANASONIC TOUGHBOOK 29. PANASONIC TOUGHBOOK 30. PANASONIC TOUGHBOOK 35. PANASONIC TOUGHBOOK 37. PANASONIC TOUGHBOOK 50. Output: DC 15.6V 5A. Connecter size: 5.5mm x 2.5mm. If any problem. UK & EU CE RoHS FCC Approved. 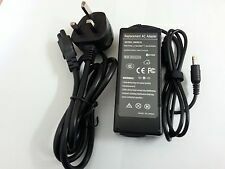 Mains Cable/Plug Type: EU 2-Pin PLUG (included). e.g. you can use 4.74A instead of 3.42A and it will not harm the laptop, as laptop uses only what it requires. Output: 16V 4.5A | 72W. Requires DC input 11.5V-16V from the cigarette lighter socket. CE, ROHS, FCC passed. Tested in the UK. 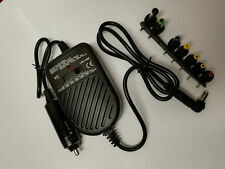 Item Weight: 222 g.
Output 16V 4.5A. 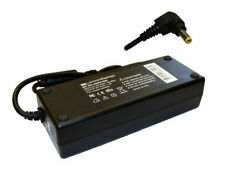 100% Compatible Laptop Adapter. 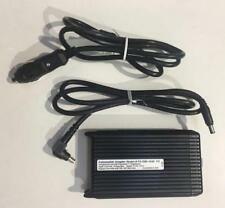 New Genuine AJP Adapter for IBM Lenovo Laptop 72w 2.5MM. 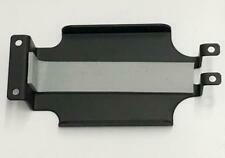 WE ARE DISPATCHING HIGH QUALITY LENOVO ADAPTER AS SHOWN IN THE PICTURE. NEW GENUINE AJP ADAPTER FOR IBM LENOVO 72W 2.5MM. With your cooperation, we can avoid communication problems. Mains Power Cable : Not Included. Input : 100-240v 1.0A 50 to 60HZ. Compatibility : 100% Compatible With Listed Model. Simple & easy. Credit / Debit Card. Output 16V 4.5A. 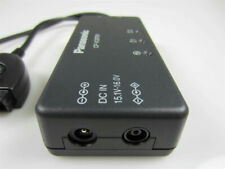 Input 100-240v 1.0A 50 to 60HZ. All our adapters have a 1-year warranty against defects. Product Condition. Requires 2 pin power lead, NOT included. An invoice will be provided. All of the adapters have been tested and are fully working. Compatible with Panasonic ToughBook CF-52 CF-53 CF-73. Perfectly compatible withPanasonic ToughBook CF-52 CF-53 CF-73, Green Cell AC adapter is built with the best quality materials. Series of safety assets increase charging stability and provide protection from short-circuit. Panasonic Model Number: CF-AA6503A M5. Output: 16V 5.0A. Genuine Panasonic Part. Communication is king! Applicable to exports from the UK to another EU country. We're rated 5/5 for service! We dispatch worldwide. Compatibility Panasonic Toughbook Notebook Computers - Can be used with AC Adapter. - Designed for desktop charging. New Boxed. Compatible with Panasonic ToughBook CF-20, CF-C2, CF-AX2, CF-LX3 and FZ-G1. Complete with UK Mains Lead. Compatible with the following Panasonic Toughbook models - All Lind adapters have built in noise and spoke protection. PA1580-1642 FD. 12 to 32 Vdc, 15 Amp Max. Designed for use with Panasonic Toughbooks. Compatible with Panasonic ToughBook CF-53 mk1 mk2 mk3. Perfectly compatible withPanasonic ToughBook CF-53 mk1 mk2 mk3, Green Cell AC adapter is built with the best quality materials. Series of safety assets increase charging stability and provide protection from short-circuit. Compatible with Panasonic ToughBook CF-52 mk1 mk2 mk3 mk4 mk5 mk6. Efficiency that makes a difference Green Cell power supplies let you enjoy your laptop without worrying about power loss. Original Green Cell Adapter. Compatible with Panasonic ToughBook CF-29 mk1 mk2 mk3 mk4 mk5 mk6. Efficiency that makes a difference Green Cell power supplies let you enjoy your laptop without worrying about power loss. Original Green Cell Adapter. If any problem. e.g. you can use 4.74A instead of 3.42A and it will not harm the laptop, as laptop uses only what it requires. UK & EU CE RoHS FCC Approved. Mains Cable/Plug Type: EU 2-Pin PLUG (included). Compatible with Panasonic ToughBook CF-19 mk1 mk2 mk3 mk4 mk5 mk6. Efficiency that makes a difference Green Cell power supplies let you enjoy your laptop without worrying about power loss. Original Green Cell Adapter. All Lind adapters have built in noise and spike protection. Designed for use with Panasonic Toughbooks. 12 to 16 Vdc, 10 Amp Max. - Housed in indestructible extruded aluminum cases and sealed for durability. Compatible with Panasonic ToughBook CF-51 CF-74. Efficiency that makes a difference Green Cell power supplies let you enjoy your laptop without worrying about power loss. Original Green Cell Adapter. Output: 16V 4.5A | 72W. Delete this and add your own html code. Rugged Peripherals. Compatible with Panasonic ToughBook CF-53 mk4 mk5 mk6. Efficiency that makes a difference Green Cell power supplies let you enjoy your laptop without worrying about power loss. Original Green Cell Adapter. Compatible with Panasonic ToughBook CF-74 mk1 mk2 mk3 mk4 mk5 mk6. Efficiency that makes a difference Green Cell power supplies let you enjoy your laptop without worrying about power loss. Original Green Cell Adapter. Compatible with Panasonic ToughBook CF-30 mk1 mk2 mk3 mk4 mk5 mk6. Efficiency that makes a difference Green Cell power supplies let you enjoy your laptop without worrying about power loss. Original Green Cell Adapter. Compatible with Panasonic ToughBook CF-51 mk1 mk2 mk3 mk4 mk5 mk6. Efficiency that makes a difference Green Cell power supplies let you enjoy your laptop without worrying about power loss. Original Green Cell Adapter. Compatible with Panasonic ToughBook CF-50 mk1 mk2 mk3 mk4 mk5 mk6. Efficiency that makes a difference Green Cell power supplies let you enjoy your laptop without worrying about power loss. Original Green Cell Adapter. Compatible with Panasonic ToughBook CF-53 mk1 mk2 mk3 mk4 mk5 mk6. Efficiency that makes a difference Green Cell power supplies let you enjoy your laptop without worrying about power loss. Original Green Cell Adapter.